Laguna College of Art and Design raised more than $315,000 at its 28th Annual Collector’s Choice Gala and Live Auction held on, Oct. 7 at Montage Laguna Beach. 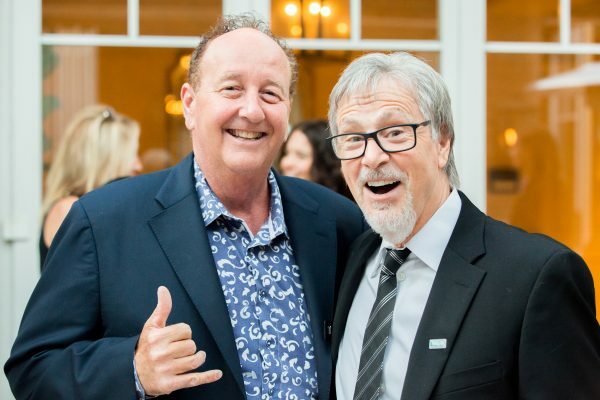 Steve Van Doren of Vans with LCAD President Jonathan Burke. The Decorative Arts Society, Orange County honoring Julia Argyros made a gift of $10,000 to merit-based scholarships. The College also honored Vans with the LCAD Creative Partnership Award. “Since 2012, Vans has collaborated with LCAD in an Honors Lab that teaches design students the creative process of footwear design and marketing,” said LCAD President Jonathan Burke. LCAD Chairman of the Board of Trustees and Honorary Co-Chair Jared Mathis shared a story about his great grandmother, Nellie Gail Moulton who on her 90th birthday, committed to paying for the full tuition of twenty-one students. LCAD’s 28th Annual Collector’s Choice Gala and Live Auction was co-chaired by LCAD Trustee Terry Jones with his wife, Judy. The total amount raised beat last year’s record a statement said.